ALritma T is one of the fastest and most efficient print and apply units available on the market today, easily able to print and apply over 200 labels/minute. With a print speed of up to 16" per second, combined with a label application speed of up to 60m/min (40m/min standard), combined with the possibility of “ribbon saving”, the ALritma T is one of the fastest print and apply machines available. The key to the speed of ALritma T is its print unit control system, which uses a swinging arm to adapt the printer's operation to that of the label application on the basis of the loop of labels between the two different functions. The unit is thus able to print and apply simultaneously and independently, and is at least twice as fast as any traditional real-time print-apply unit. ALritma T is also easy-to-use, as it is not limited to predetermined sizes for single labels, and does not require manual adjustment (for example when changing the label position). The unit is controlled by a powerful microprocessor equipped with a multilingual touchscreen, which provides the user with all the most common adjustments on a simple main screen. Once these adjustments have been entered, up to 40 formats (product/label combinations) can be stored, significantly simplifying and speeding up format changes. ALritma T does not require compressed air and can operate, when necessary, as a normal stand-alone applicator: an extremely flexible tool, above all for the application of promotional labels, where sometimes a variable price is printed and applied, and other times only a preprinted label is applied. 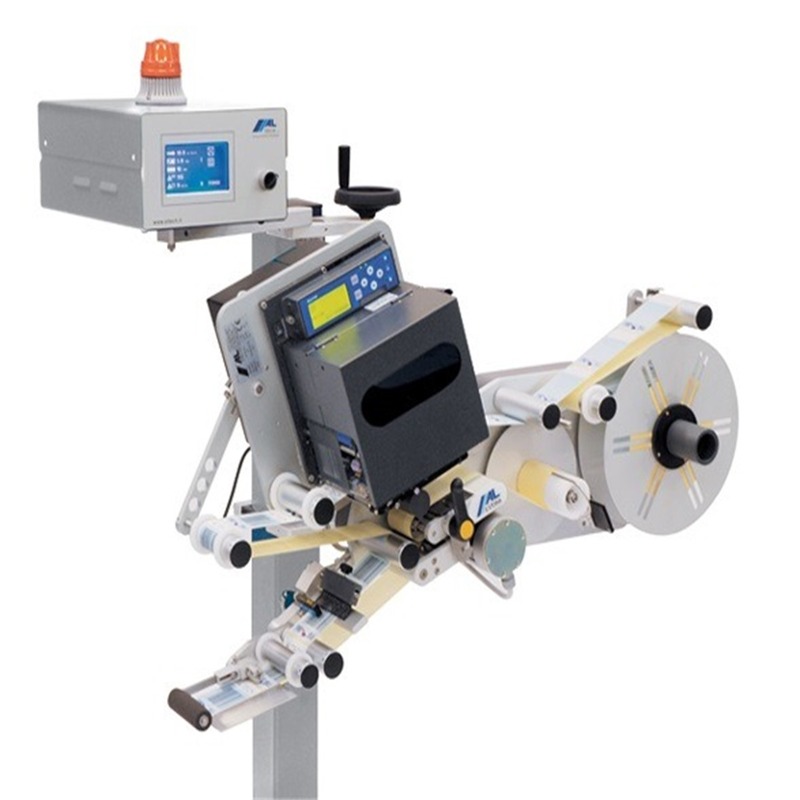 The available functions and optional accessories are the same as for the ALritma label applicator. Incredibly flexible, allowing use of different size and shape labels: these can be used without having to change machine components.